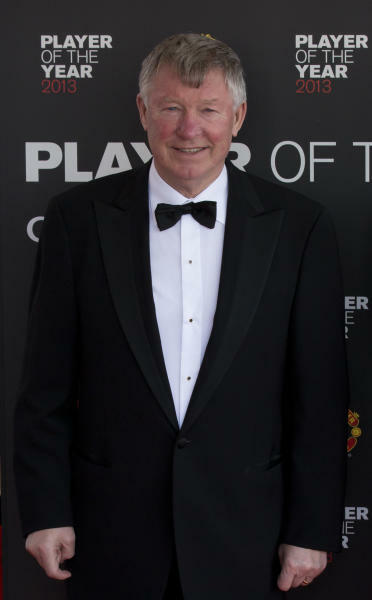 CARRINGTON, England (AP) — Alex Ferguson is looking forward to a retired life of luxury vacations, watching thoroughbreds, enjoying good wines and perhaps studying languages. Before that, though, there's one final challenge to overcome — beating West Bromwich Albion on Sunday in his 1,500th and last game as Manchester United manager. 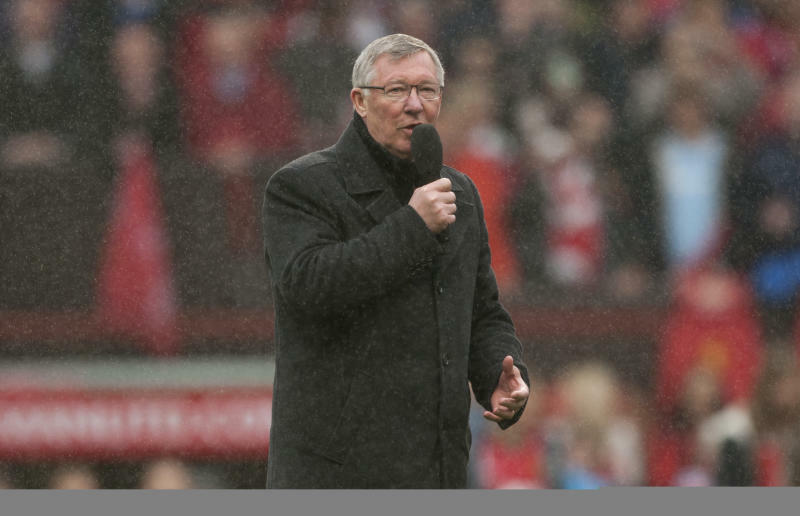 "One thousand five hundred matches — it's quite incredible," Ferguson said Friday, shaking his head at his own longevity. The end of the road in Ferguson's 39-year coaching career comes at The Hawthorns, an unassuming stadium in central England. He has already had one emotional farewell — at Old Trafford on Sunday after a 2-1 win over Swansea that marked his final home match as United manager. On that occasion, there was a guard of honor, a five-minute speech to fans and relentless waving of red flags by United supporters who can't quite believe their manager of nearly 27 years is stepping aside. There's also been United's trophy parade through the streets of Manchester on Monday, when tens of thousands of people came out in force for one more glimpse of the legendary man and his Premier League title-winners. This weekend's match promises to be another tear-jerker, although all Ferguson wants is a win. It's typical of him. "Every team wants to win their last home game — that's a fact of life," said Ferguson, who was named the Premier League's manager of the year on Friday. "And also I want to win this one more than last week's even." His coaching life began in 1974, with unheralded East Stirlingshire in the Scottish lower leagues. Ferguson remembers having "eight players and no goalkeeper." Now he has six goalkeepers and around 100 players to oversee. "It's a different life," Ferguson acknowledged. "Change is inevitable — you have to manage that. "There have been big changes in this club in terms of number of staff, sports science, modern technology has come into it. When I started as a manager there were no agents, media was different then, too. ... The changes are all there, integrated over a long period. But I don't think I've changed much." Things are set to change in Ferguson's life, however. No more getting up in the early hours and being the first person into Carrington, United's vast and impressive training complex in west Manchester. No more picking teams, coaching world-class players, doing draining media duties. But that doesn't mean he'll be enjoying regular 10-hour sleep-ins, as he did after the parade on Monday. "It's the first time in my life that I've had 10 hours' sleep — (wife) Cathy kept making sounds round about me," Ferguson said. "I think she was just checking to see if I was alive." Ferguson's new life will likely see him having a closer involvement in his second passion of horse racing and spending more time with his family and on holiday, particularly to his favorite destinations of New York and the south of France. He's then scheduled to have hip surgery in July. "I'm driven to take on some challenges and some other things right away," he said. "I've got a league managers meeting on Monday, I'm going to Newmarket (for horse racing) on Tuesday and Wednesday ... I'm going on holiday on June 4, it's the (English) Derby on June 1, I'm going on holiday for a month. "Then I'm having the operation, then I've got the recuperation, then the season starts. So we're all right." Ferguson, who will become a director at United once he steps aside for new manager David Moyes, made his decision to quit coaching last Christmas, after the death of his wife's sister. He said Friday he has no regrets, not even when he felt dejected following United's exit at the hands of Real Madrid in the Champions League in March, when winger Nani was controversially sent off with United ahead on aggregate in the two-legged match. That denied Ferguson the chance of a third title in the Champions League, a competition in which he has always acknowledged United has underperformed for a club of its stature. "I made my mind up long ago and that was it ... you can't be successful without disappointments, I think disappointments are good for you," Ferguson said. "It's a challenge to you and for your players' character to recover and I think we've been doing that over the years." Ferguson was given a standing ovation at his final news conference Friday. He received a cake with a hairdryer made of icing on top, in reference to the so-called "hairdryer treatment" he dished out to players at halftime of matches. That's just one of the many things Ferguson will be remembered for. 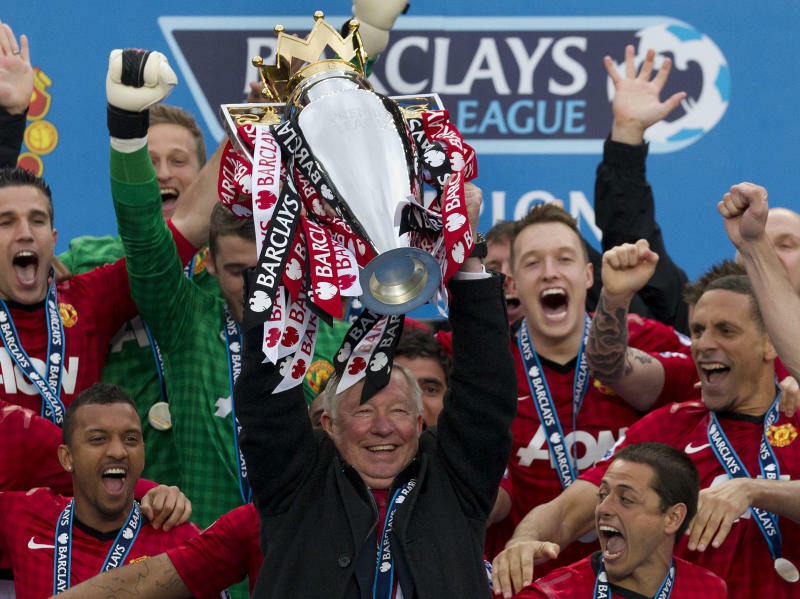 "The memories are all there, 26 years at Manchester United is fantastic," Ferguson said. "The day I came here was a privilege and the day I've left will be an honor. I'm lucky to have been here that long."